Here’s exactly how some of the best food bloggers are keeping their followers well fed. 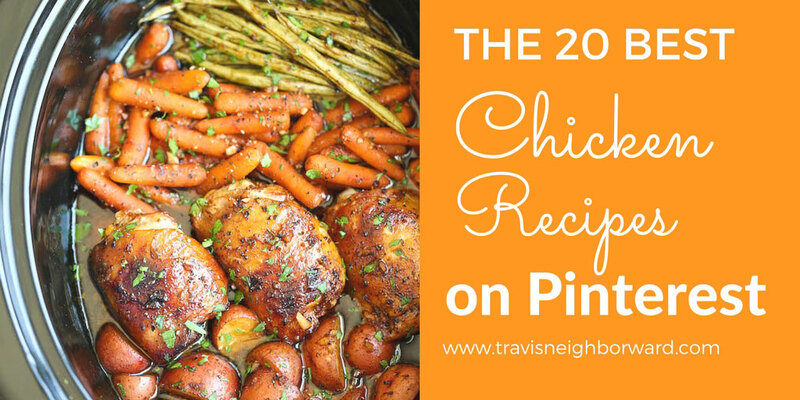 “Chicken” is one of the most searched keywords on Google, and a quick glance at Pinterest proves that chicken recipes get a lot of traction there. But, which are the best chicken recipes on Pinterest? I decided to research it and came up with this list. Using search tools, I narrowed down the timeframe from May 2015 and May 2016. So really this is a snapshot of that moment. As a former magazine editor-in-chief and indie author who is now running her own website and blog, I find it especially thrilling to see, in one place, this summary of the amazing talent of some of the best food bloggers. These cooks have risen to success through their own work and talent, cooking in their kitchens with joy and sharing their life stories. They have literally welcomed us into their homes and we have happily followed, allowing them to guide us into making better meal choices for ourselves and our families. These bloggers are role models for anyone attempting to produce web content in any genre. So here they are, starting with the recipe that has the most shares. Please note that these numbers change hourly as more people share the recipes! The numbers shown here are based on the day that I originally wrote this post (May 25, 2016). I absolutely love these recipes because they’re so easy to throw together in a single vessel, making clean-up a breeze for those busy weeknights! Julia, too, hit a home run with this recipe that has almost 1.3 million Pinterest shares!! On her blog she focuses a lot on savory meals–dinners, main dishes, pastas, salads, soups–and includes a lot of gluten-free recipes or options. Easy and packed with flavor. I love that you can make it all in 1 skillet! Since I published this list today, I found out that Christy of The Girl Who Ate Everything (see #6 below) has a chicken recipe that has been pinned 853,249 times! 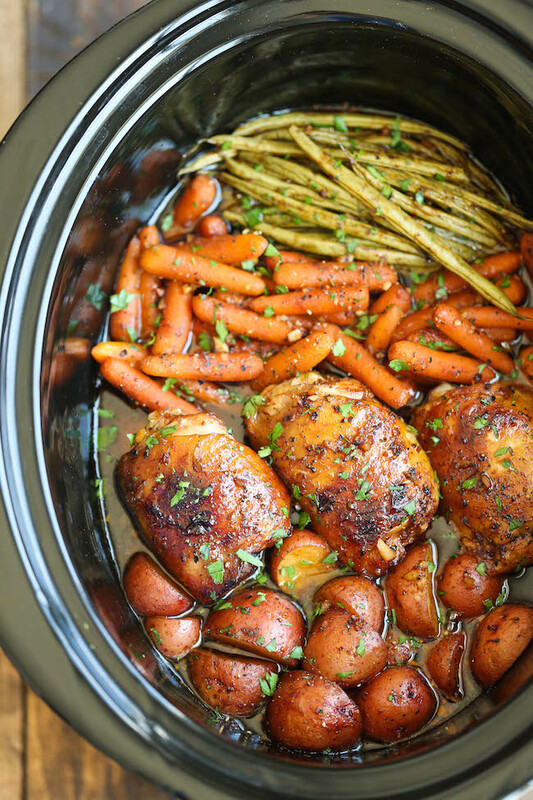 It’s a recipe for Crockpot Italian Chicken and you can find it right here. So of course that has shifted some of the numbers on this list by one… These bloggers are amazing! Stephanie of The Cozy Cook says she especially loves cheese, soups, and salads, but you can find recipes for everything on her blog. Katerina describes herself as a “cookie maker, baker-faker, food-taker. Err! I mean picture-taker!” She’s funny, which makes her delicious everyday, easy and Macedonian recipes even more fun to make. Michelle of Crafty Morning offers up recipes with easy-to-find ingredients that will appeal to everyone in the family. She also has a new site just for cooking called Crafty Recipes. Sarah and Jessica are BFFs who love finding great ways to make delicious, healthy recipes on a budget. Well, we all know what BuzzFeed is… I left this in here because this is where it ranks on Pinterest for the word “chicken,” even though it’s not a single recipe the way that the others are. It’s a roundup by BuzzFeed staffers Christine Byrne and Jenny Chang of ways that you can mix ingredients to marinade chicken. Becky has a wide range of cuisines on her blog, from American recipes and Mexican, to Thai food. Jaclyn’s favorite foods are Italian, Mexican, and “anything with chocolate, caramel, fresh fruit, or browned butter.” She also grabbed the Number 15 and Number 20 spot on this list! Bee of Rasa Malaysia specializes in Asian and American home cooking and baking, and she likes to keep the recipes easy to make. Julie is “totally obsessed with carbs” and the name of her fun blog speaks for itself. She loves Guinness, bourbon, whiskey, and cheese. She also loves chocolate chip cookies and salads. Kelley’s favorite recipe is buffalo chicken tenders. Her recipes include many cuisines, from Asian to Italian, Mexican, and American. Which do you think are the best chicken recipes? Leave a comment below.